This post will conclude my trip to Florida. Though it took three days to return home, they were relatively uneventful and thus I’ll sum them up in one post. To return home we drove through: Florida, Georgia, South Carolina, North Carolina, Virginia, West Virginia, Pennsylvania, New York and finally home to Ontario. 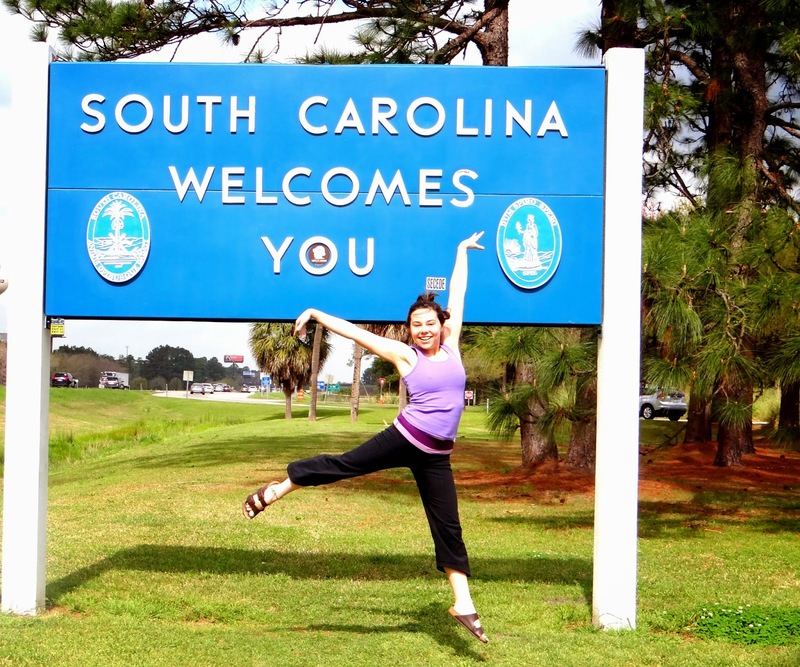 We stayed our first night in South Carolina, having driven for nine hours it was the longest leg of our journey home. As I wasn’t driving it was a fairly relaxing time for me where I could read my book, “The Lucifer Effect”, by Phillip Zimbardo. The book begins by going into great detail of Zimbardo’s infamous, “Stanford Prison Experiment”. Though I had previously been familiar with the experiment I had never before know the exact details of the dark spot in psychology’s history. I’m very much enjoying the book and recommend it to anyone interested in psychology, or non-fiction in general. There have been times when I’ve been taken aback by how far the experiment was allowed to proceed and am interested in finding out Zimbardo’s take on “How Good People Turn Evil”, as the sub-title of the book reads. 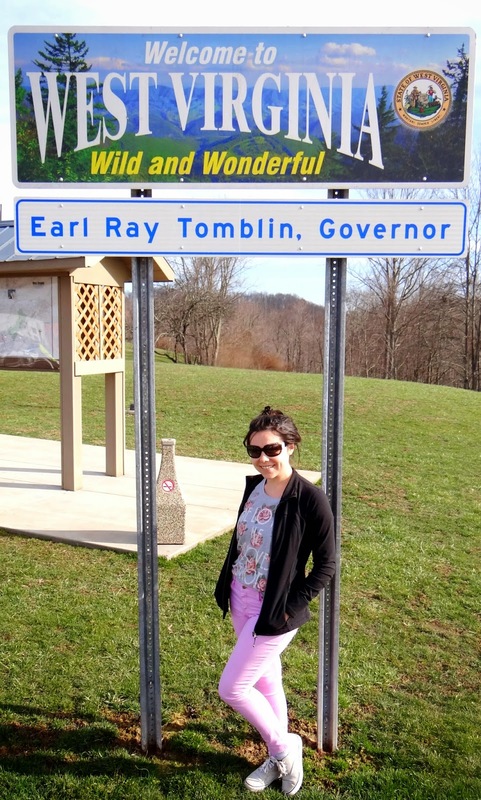 Though we had only seven hours to go on the second day to reach our hotel in Pennsylvania, we took a much more leisured approach to the drive, stopping at three antique shops in North Carolina as well as a sit down lunch. I believe whatever it is which drew me to study psychology in university must be the same force which draws me to thrift stores, antique shops and even my fascination in urban exploration and history. There is something about sifting through old belongings of a past time and life which enraptures me. I long to live in another time period, to be a fly on the wall of a thousand separate lives. Luckily I had others in my party to set a time limit on the browsing, otherwise I could surely spend a day in each store, perusing the artifacts of lives gone past. I considered purchasing a Nixon pin, not sure where my fascination in him comes from, though it’s likely his staple in 60’s-70’s history…. I also found the most stunning French clock circa 1889, painted in beautiful pastel colours and trimmed with gold leafing, if it were a bit more reasonable than $900 I surely would have brought it home with me. Instead I picked up a few pretty vintage postcards for friends. For dinner we decided to try “Bob Evans” as it was close by our hotel and none of us had ever been. We were a left a bit baffled by it to be honest. The establishment is not licensed and our waitress handed us our cheque with our meal… which was to be payed at the counter. It seems maybe a step up from fast food. I had a chicken salad and wild berry lemonade, I have to admit the food was half decent, but the atmosphere a bit uncomfortable. As our hotel had an indoor swimming pool we finished the night of with a swim, my first time in a pool the whole trip! Today’s ride was the least eventful of the whole trip. There is not much to see through Pennsylvania and New York and of course Ontario has little novelty for this native. I think we were all eager to get home and I was excited to see my puppy dog! It’s certainly not easy to be greeted by -6°C weather and snowbanks after enjoying 30° sunshine all week. I am fortunate though to know that I have another trip coming up in only three months time and I look forward to bringing you with me!